We have even more updates from Comics Experience alumni and Workshop members this month! 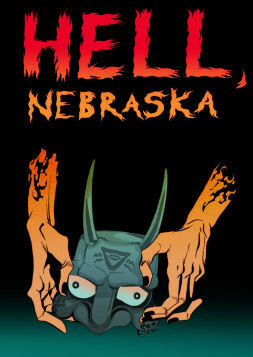 Graphic.ly has released the first issue of Shaun Manning's new digital comic book, Hell, Nebraska. During San Diego Comic-Con this week -- whether you're at the convention or at home -- the first issue will be on sale for half off. You can also check it out at Graphic.ly's demo station at the con. What would you do if you discovered that Hell did not exist? For one man, the answer is simple: create it. As a monstrous infernal city erupts from the soil of America's heartland, a teenage boy discovers he may have the power to prevent Hell on Earth--but does he want to? Hell, Nebraska is written by Shaun with art by Anna Wieszczyk and lettering by Ed Brisson. Shaun is a Comics Experience alum from back when the classes were held live in New York City, and he's a current Comic Creators Workshop member. You'll definitely want to check out his book -- online now, or at San Diego Comic-Con! For more info on Hell, Nebraska, click here. Comic Creators Workshop member, Joey Groah, has launched a new podcast called In Production, which Joey describes as "conversations with people making things." Joey talks origin story, process, workflow, and the overall business of being creative with people like editor/director/producer Dave Gorrie and former ad exec, now marketing manager, Andy Perrine. The site is http://www.InProductionShow.com or you can subscribe through iTunes or RSS. Give it a listen!